A 2017 New York Post article reported, “On average, Americans check their phone once every twelve minutes, or about eighty times a day, with one in ten checking their phones on average once every four minutes.” We all have things constantly vying for our attention, and advisors are no different. With the competition for your time, why should an advisor pay attention to reverse mortgages? Below are eight reasons this investigation is worth your time and energy. At the intersection of housing wealth and retirement planning, unprecedented opportunities are created to enhance retirement outcomes and efficiencies. Take a look at the list of what can be done by incorporating housing wealth (image right). By far, this is the number-one reason advisors are paying attention. There are only a handful of advisors who are unconcerned about client attrition, new client attraction, and standing out from the crowd. For the rest, these issues are paramount. The competition for your clients’ attention is fierce and the strategies to attract new clients are scarce. Adding housing wealth to your vocabulary, client-engagement strategies, and digital profile will certainly set you apart. By the time you read this, the specifics of the Department of Labor fiduciary standard ruling may or may not have teeth, but the fallout associated with it will. There is a growing awareness that advisors have a responsibility to do what is in the best interest of their clients. Part of that responsibility means staying informed about current thoughts, trends, and legitimate resources that could have a positive (or negative) effect upon clients meeting their retirement goals. The impact of reverse mortgages as part of the retirement income conversation is no longer an addendum. Many reputable institutions, individuals and organizations have come to embrace the program as a viable retirement income tool to be incorporated into planning. Dr. Robert C. Merton, Nobel Laureate and Professor of Finance, M.I.T. Most major financial advisor associations have featured reverse mortgage trainings, webinars and workshops over the last year. The 2017 FPA conference had four different reverse mortgage-focused sessions. NAIFA, SFSP, NAPFA and others have all included trainings recently. Schools such as The American College of Financial Services, Texas Tech, Ohio State, MIT Business School and Boston College’s Center for Retirement Research have all been favorably disposed towards the newly-restructured reverse mortgage. 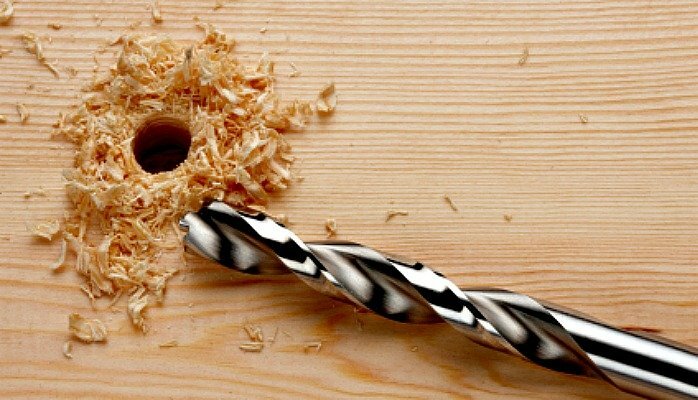 It’s been estimated that a quarter million people bought a drill last year. The irony is the majority of those buyers didn’t actually want a drill; they wanted a hole! The drill was just the tool needed to achieve the goal. For example, have your clients ever asked about refinancing or eliminating their loan payment, so they can reduce their current draw or have extra money to enjoy retirement? Have they every wanted to annuitize prematurely or cannibalize an asset because of a spending shock? Have clients shown concern about their savings being vulnerable to a market correction, or to erosion that comes with inflation? They are describing the problem and looking to you to produce the right tool to solve it. In many cases, today’s reverse mortgage can be a handy tool, but many of your clients are unfamiliar with what it does, so they don’t know to even ask for it. This generation will live longer, save less, and carry more debt into retirement than past generations. You are responsible for crafting a plan that will get them through the finish line. I will spend more time on this later, but suffice it to say, this group is not well prepared for a lengthy retirement. Still, they do have something unique that no other generation has had before them: housing wealth. It’s been noted that nearly 100 percent of existing retirees and emerging baby boomers have already seen, heard of or inquired about reverse mortgages—with more than 90 percent of them having a favorable response toward them. Recent findings also demonstrate that only 16 percent of baby boomers have a written retirement plan or someone they consider a personal advisor. In addition to this, there are currently more than $6 trillion dollars in senior home equity! If you are not incorporating housing wealth into your planning conversations, you are missing out on the single largest way for you to impact current clients, access new ones and grow your practice.